The Ambrosini SAI.7 is a single-engine one- or two-seat touring and trainer aircraft produced by the Italian manufacturer Ambrosini. 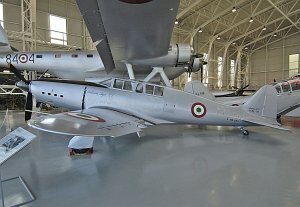 The SAI.7 was used during WWII (designated SAI.7T) and after WWII (designated S.7) by the different Italian Air Forces. The SAI.7 was designed as a high performance touring and racing aircraft.